I have been hearing wonderful, amazing things about Sophia's Bakery & Cafe, located in Brantford, Ontario. Distance has been an issue and I haven't made it out to the bakery yet... instead I have been drooling over all of the yummy looking goodies on the website. And dreaming of visiting the cafe for lunch. Wow, can't remember the last time I had an authentic fresh baked loaf of bread. 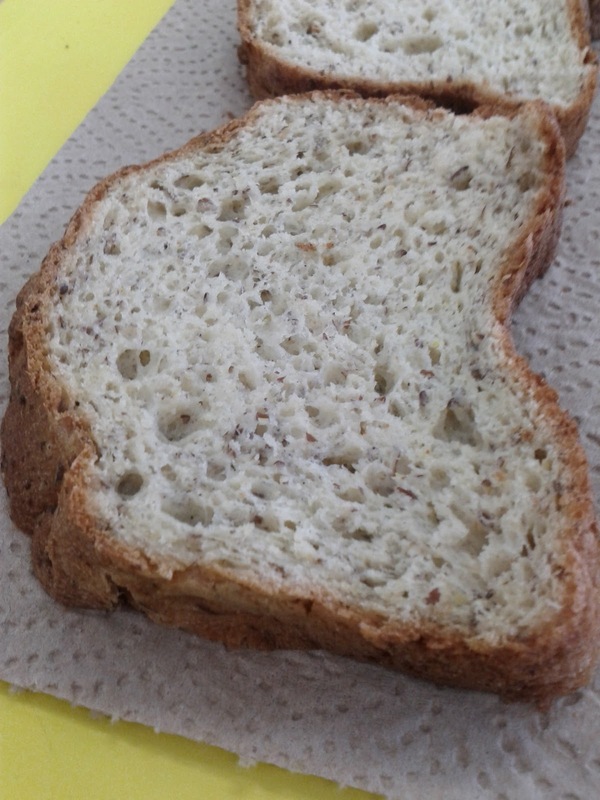 It was soft and squishy and reminded me of a whole wheat loaf of bread. It was also dairy-free and tasted great! I can't wait to try out some of the baked goods at Sophia's Bakery & Cafe!